A two-judge bench of the Supreme Court said that there is a need to revisit the process of appointments and transfers of judges and to set up mechanism for corrective measures. The ongoing tug-of-war between the Centre and the Supreme Court’s collegium over the finalisation of Memorandum of Procedure (MoP) for appointment and transfer of judges, which has been getting delayed since December 2015, has entered an interesting phase. A two-judge bench of the Supreme Court, comprising Justices Adarsh Kumar Goel and Uday Umesh Lalit, today issued a notice to the Attorney General K.K.Venugopal and requested senior advocate K.V. Vishwanathan to assist the Court as amicus, to consider the prayer that there should be no further delay in finalisation of the MoP in larger public interest. The Goel-Lalit bench’s decision assumes significance as the court has, of late, been treating the issue on its administrative side, between the collegium and the Centre. During his tenure, Chief Justice T.S. Thakur tried to hear the matter on the judicial side by entertaining three writ petitions and seeking directions to the Centre to fill the vacancies in the high courts with the candidates recommended by the collegium. During the hearings, Chief Justice Thakur gave vent to his frustration over the Centre’s refusal to change views, but his outbursts failed to deter the Centre. As his tenure came to an end on January 3, the pending cases were disposed of by his successor, Chief Justice J.S. Khehar, who found merit in seeking solution to the issue on the administrative side. During a hearing in July this year, Chief Justice Khehar, who headed the constitution bench on the National Judicial Appointments Commission (NJAC) case, and also the consequent issue of collegium reform, responded in the open court to a plea from a senior counsel to pass some directions on the MoP, which is yet to be finalised: “The best answer is a broad smile”. With his tenure ending in August, his answer was indicative of his helplessness. Chief Justice Khehar’s successor, Dipak Misra, combines his predecessor’s legacy of seeking to deal with the MoP issue on the administrative side, with his bold initiatives to usher in transparency on the collegium’s functioning, as he has nearly a year to retire. 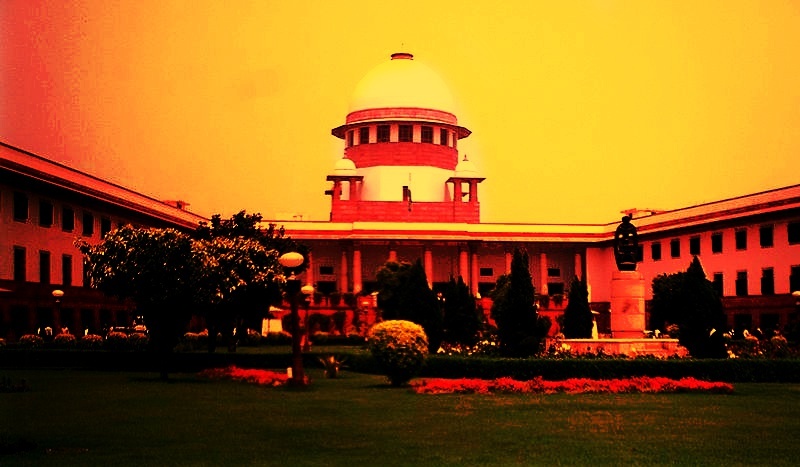 In a resolution passed by the collegium on Thursday, it was decided that the judgments of the additional judges of the high courts shall be called for from the chief justices of the concerned high courts and the same shall be evaluated by a committee of two judges of the Supreme Court, other than consultee-judges, to be nominated by the CJI. The resolution attributes these changes to the suggestions made by Union law minister Ravishankar Prasad, and to the principle that “peers should not be judged by peers”, as was the old practice. In a sense, Justice Dipak Misra is seeking to quietly bring about a reform of the collegium, even in the absence of the revised MoP, although it is not clear whether this strategy would help to fill the mounting number of vacancies in the high courts and in the Supreme Court. Both Justices Goel and Lalit are not members of the collegium, which consists of five senior-most judges of the Supreme Court. But Justice Goel was a member of the constitution bench on the NJAC case and therefore, his concern expressed today over the Centre’s non-compliance with the Supreme Court’s directives on the MoP assumes significance. The bench added that there is a need to revisit the process of appointments and to set up mechanism for corrective measures other than impeachment against the conduct of an erring judge, as mandated by the recent seven-judge bench judgment that convicted and sentenced Justice C.S. Karnan of the Calcutta high court to six months’ imprisonment for contempt of court. The bench found substance in the submission that the MoP must provide for a mechanism so that appointments of regular chief justices of high courts are not unduly delayed. Interestingly, the Goel-Lalit bench took the initiative in hearing the collegium matter on the judicial side in an appeal, filed by advocate R.P. Luthra, against the Delhi high court’s verdict, which found no merit in his challenge to the appointment of judges of the Supreme Court and the high courts on the ground that the MoP was not finalised. The Goel-Lalit bench agreed with the Delhi high court’s view on this, but expanded the ambit of Luthra’s Special Leave Petition to hear the substantive issues which were not raised before the high court. Curiously, the Goel-Lalit bench’s initiative to hear the MoP case on the judicial side coincides with reports suggesting that the deadlock over the MoP may be nearing resolution. First, the Supreme Court’s recent decision to constitute a committee of judges and a permanent secretariat in the Supreme Court and in the high courts to screen applicants for designating senior advocates may well provide the required data for selecting judges. Second, the collegium has diluted its reservations over the Centre’s insistence that it could reject a candidate recommended by the collegium on the ground of national security, if it records its view in writing, for it to reconsider its recommendation. Third, the collegium appears to be veering round to the Centre’s position that merit, rather than seniority, must be the criterion for selecting judges. By deciding to revisit these issues, the Supreme Court is perhaps preparing to settle them once and for all.